Spiritual Growth – Page 2 – Good News Everyday!!! The historical Christian positions on social issues don’t match up with contemporary political What should the role of Christians in politics be? More people than ever are asking that question. Christians cannot pretend they can transcend politics and simply “preach the Gospel.” Those who avoid all political discussions and engagement are essentially casting a vote for the social status quo. American churches in the early 19th century that did not speak out against slavery because that was what we would now call “getting political” were actually supporting slavery by doing so. To not be political is to be political. If you’re like most teenagers, you’re speaking a lot of words everyday. You might be texting friends, posting on Facebook, Twitter, Instagram or talking to friends in the hallway. The fact is, you’re using lots of words all day long. On average, a person speaks between 10,000 and 25,000 words a day. That’s a lot of words! With so many words coming out of our mouths all day long, its understandable that God puts a lot of importance on the words we speak. For example, in Proverbs 18:21 it says, “Those who love to talk will experience the consequences, for the tongue can kill or nourish life. ” (NLT). 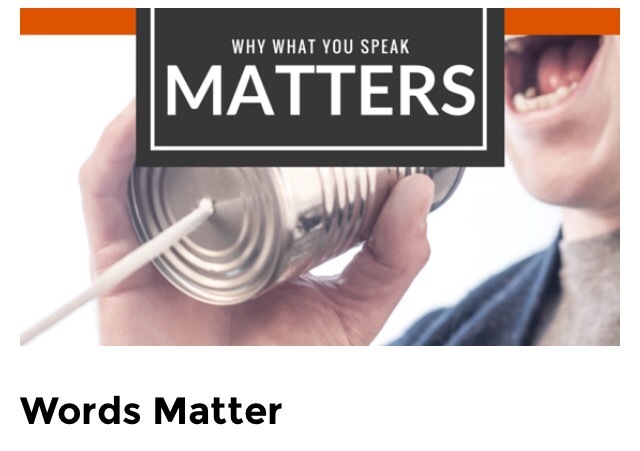 That’s a pretty strong statement on the importance of your words. When you’re in math class and find out you missed 10 problems on the homework assignment, what comes out of your mouth? Do you say things like, “AHH! I’m so dumb…I’ll never get this!” Words like that will shut off your success in school. The words you speak are important. The words that you speak every day, even the smallest words, are important. They set the course and tone for your life. If you don’t like something that is happening in your life, pay attention to the words that you’ve been speaking regarding that thing or situation. Perhaps you need to begin to speak words of life. Words will direct the course of your life, so begin to pay attention to what you’re speaking. Pray: God, I choose to pay attention to the words that I speak each day. I ask you for your help in speaking words of life over me each day. I know that my words are important and I choose to speak words of life every day. In Jesus’ name I pray, Amen. 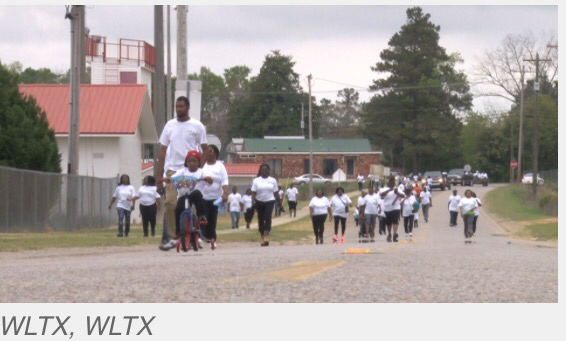 Calhoun County, SC (WLTX) – One church in Calhoun County walked over two miles in solidarity and in prayer to spread the love of Jesus Christ ahead of Easter Sunday. “Love. Unity. Strength. Community,” said Brenda Gadsden. Those are just some of the many reasons why Gadsden and the members of Word of Faith Christian Center in Calhoun County walked today. “It’s just awesome to see all of these people out here walking for the same cause,” Gadsden said. The congregation walked from Richland Avenue in Saint Matthews to Calhoun County High School for their Lord and Savior, Jesus Christ. “He died for me. He erased all of my sins and why wouldn’t I? He’s awesome,” she said. It was Christ who Pastor Mike said helped him turn his life around. “Thirty-two years ago he changed my life. I was living a real bad life. Thirty two years ago he changed my life and I know what he did for me personally and I want to share that with everybody else,” he said. After the two mile trek the group gave thanks before a barbeque cookout reflecting on faith and the resurrection. Kwiderie Walker said the walk gave her confidence. “I wasn’t afraid because I had my friends with me I felt like we were doing something different and unique, so I really appreciated this experience. Anything for Jesus I’m willing to do,” said Walker. Gadsden said it was a team effort. “We couldn’t have done it without our church family. We all pulled together. Our pastor had the vision and we made it happen,” Gadsden said. The church will perform “A Journey through the Scriptures” at Calhoun County High School at 4:30 p.m. on Sunday. It will be free for the public. “Blessed shall you be in the city, and blessed shall you be in the country. You may have heard of people who think that to have better “luck”, they have to move to a new home, work for a certain company or even migrate to another country. My friend, if you don’t see the blessings, check what you have been believing and saying. Some people complain and blame everyone and everything around them—their parents, race, gender, environment and government—for their lack of blessings. Beloved, I want you to believe and confess that you are blessed because of Jesus’ finished work on the cross, not because you are of a certain race or work in a certain place. God’s blessing is not on the land but on the man! Some Financial Facts Vrs Our Christian Faith!!! The International Monetary Fund (IMF) researchers say the world’s biggest economies should act fast because there is a robust slow growth rate in the world’s economy. What does it tell you as a Christian??? The Bible is not clueless about the current state of the world’s failing economy. In fact, the economists should have been smart enough to research the bible first. Because it has answers to the world’s problems😊. And while they may not accept it to be true, they somehow know that they can’t solve it. Because if they could, they would have done it long time ago. The Word of God makes it clear to us that in these last days, there will be turbulence (hard) times. However, solutions have been provided through the same Bible because that is what it does. It presents a problem and gives you the solution. It is clear that, God has provided a way of escape for us even in this current economic recession that the world is facing. Need I remind you that, Isaac sowed (invested) in such a time like this and reaped (earned) 100% returns (dividend). Isaac was the physical seed of Abraham. We are the spiritual seed of Abraham😄. In other words, when mere men are cast down, you (put your name there) shall declare or confess that you are lifted up. Glory to God!! !